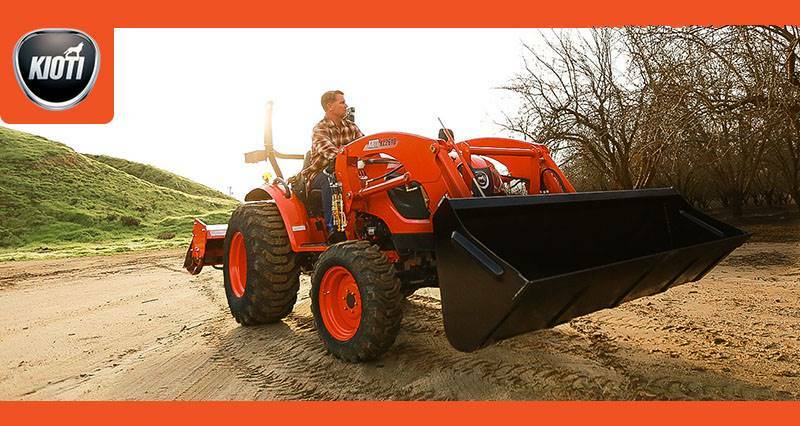 The CK10 Series is fully featured, comfortable, and ready for any job that demands a durable compact tractor. 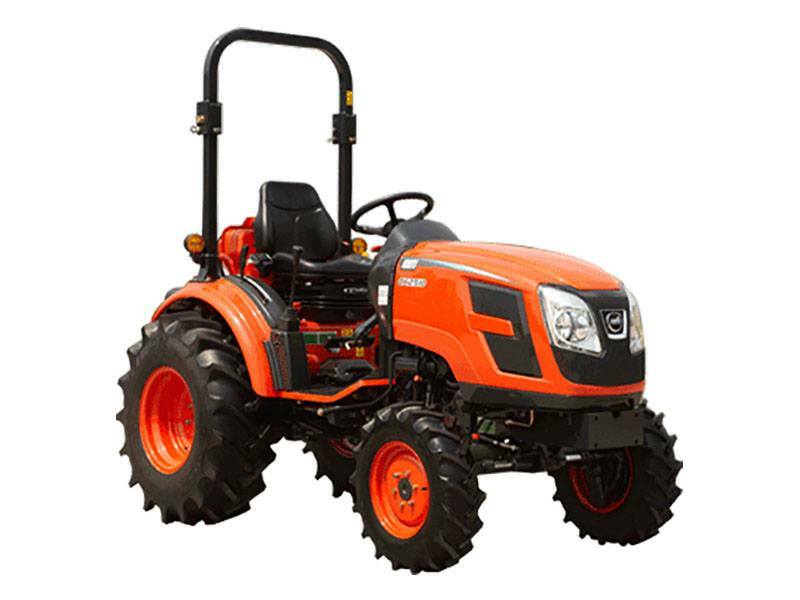 Ranging from 25 HP to 40HP, this series of high-performance compact tractors pack impressive power and smooth handling into one dependable workhorse. DIESEL ENGINE WITH DAEDONG ECO TECHNOLOGY: The new 24.5 hp (18.2 kW) ECO-friendly diesel engine provides powerful performance and improves fuel efficiency while reducing noise levels. HIGH CAPACITY HYDRAULIC PUMP: The high capacity, efficient tandem hydraulic pump gives you smoother handling in heavy-duty working conditions and helps to reduce operator fatigue. DELUXE SEAT: A fully adjustable suspension seat allows the operator to ride in comfort no matter what the job. A seatbelt is standard on all KIOTI tractors to ensure operator safety. SINGLE LEVER JOYSTICK: The operation of the front end loader is made easier by the use of a single lever joystick. The joystick allows you to perform all loader functions with a single lever. The lever automatically returns to neutral and the loader stops in place when the joystick is released. A float position allows the bucket free flotation over the ground surface. HEAVY-DUTY FRONT AXLE: The durable, heavy-duty front axle enhances tractor performance in tough working conditions. AIR FILTER: The easily accessible air filter cartridge protects the engine from harmful particles and prolongs the life of the engine. INSTRUMENT PANEL: The operator can check important instrumentation at a glance with an easy-to-see tachometer, hour meter, fuel and temperature gauges along with a battery charge lamp. 3-POINT HITCH: With an adjustable right side lift rod and top link, you can easily attach implements. TELESCOPIC LOWER LINK: The telescopic lower links allow the user to attach and detach implements easily. WET DISC BRAKES: Wet disc brakes offer quick and smooth braking operation and extended disc life.